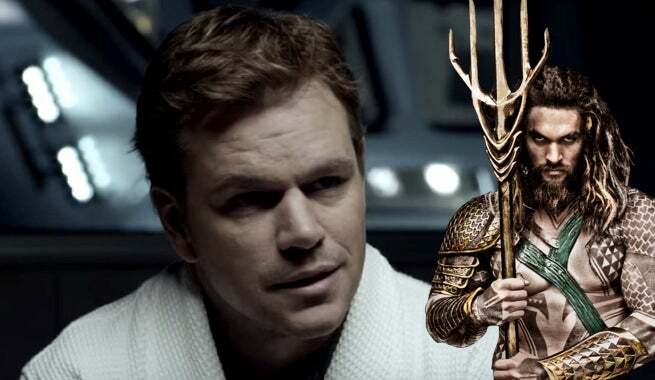 Matt Damon is calling Aquaman out. Or rather, Damon’s character from The Martian, Mark Watney, is. In a new clip from the Ridley Scott-directed sci-fi film, Watney recalls the troubling questions that passed through his mind during extended isolation. Chief among them was a question for DC Comics' king of the seven seas. Astute, Mr. Watney. Very astute. We suppose he could extend that question to dolphins, or even manatees, too. So DC Comics, consider yourselves called out. Let’s hope we don’t see Jason Momoa’s Aquaman communicate with any see mammals when he hits the big screen, or Warner Bros. could encounter a, well, whale of a gaffe. The Martian hits theaters October 2, 2015.